Germany native Marvin Doser’s college of choice had to have two things: a great track & field team and an opportunity to major in biology. Doser chose Aquinas College for a chance to excel both as an athlete and a future doctor. Doser is very passionate about sports. He used to play soccer before he was ten years old, but then he decided to give all his time and effort and succeed in track & field. Doser said that in Germany he had to decide between practicing sports on a high level and education. College and sports are not very connected, and young athletes have to pick their priorities. Doser was trying to figure out how he could continue to do what he loves and get a good quality education. Luckily, there are organizations in Germany which help athletes with a passion for sports and good potential to get scholarships and study abroad. Doser said, “Track & field is really competitive at Aquinas. I really like it because there is so much structure in it. I have never practiced that much before.” The AQ track & field team usually practices five to six days a week and also competes on weekends. Unfortunately, Doser won’t be able to compete during outdoors spring season because of his injury. Doser pulled his hamstring, and he will have to take some time off to recover. But don’t worry, he is full of energy and hopes to get better soon and help the team to succeed next season. Doser is not only an enthusiastic athlete, but also a great student. He was undecided for a short period of time, but now he knows exactly what he wants to do with his life. “It is different in Germany. You can’t go to a university and not know what are you going to study. You have to apply for a special major,” said Doser. He also added that he likes studying a lot and really hopes to become a doctor one day. “Before I came here I wanted to study medicine in Germany, but it is really hard to get a place in a university for this major,” commented Doser. However, he also mentioned that it is not easy to major in biology at Aquinas. “Science classes are really hard. You do not have a lot of homework, but you have to review all the time,” said Doser. Doser really likes the beginning of his American experience at AQ. He said that it was tough when he first arrived to Aquinas, but now he is very thankful for this opportunity. Doser also stated that it was a little bit shocking and overwhelming being in a new country at the beginning. Special orientation for international students and welcoming people made this transition a little bit smoother. Doser has a lot of friends who show him different parts of Michigan and plan trips together to fun places outside of the state. Even though Doser is enjoying staying in the United States, one of his favorite things he misses is the food in Germany. Doser mentioned that people in his country put a lot of meaning into cooking meals and enjoying the taste. “Food is just more important back home. Less fat, sugar, or salt. And it tastes really good,” said Doser. Now you know a little bit more about Marvin Doser. Don’t hesitate to say hi next time you see him on campus. Doser said that he enjoys talking to a lot of people and making new connections. 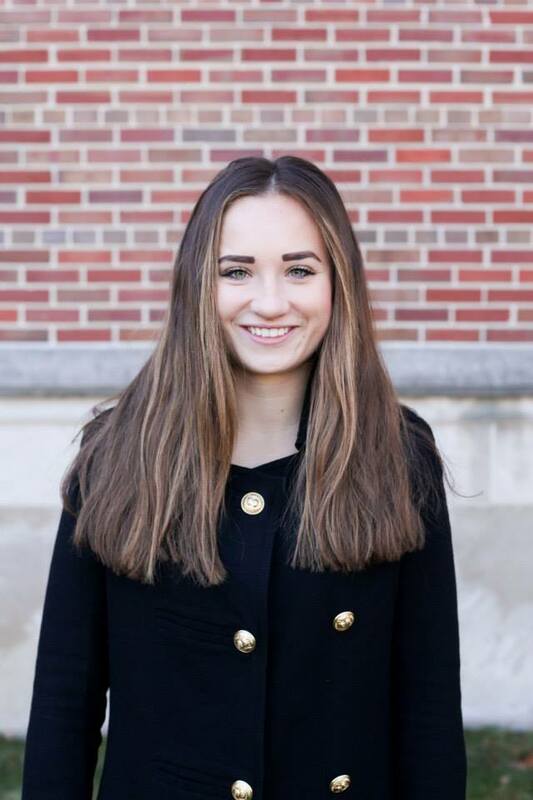 Anna Musiyenko is a communication major with minor in journalism. She is a part of AQ women’s tennis team. She enjoys traveling, meeting new people, and writing about her experience.